SGI has the ability to design, implement whether you need 1 or 5,000 drops installed at your central location or at multiple locations across the country. SmartGrid Integrations Wireless is committed to the design, delivery and support of secure wireless networks and applications to help your organization increase its business efficiency. SGI offers a comprehensive portfolio of LAN/WAN solutions to address all facets of the network lifecycle including integration, operation and ongoing management. SmartGrid is a provider of visual communications and digital signage solutions, for operational intelligence. SmartGrid Integrations, Inc. is a true full service solutions integrator for deploying next generation technology around the world. With SmartGrid and its partners worldwide we have more than 30 years of experience as an electrical deployment integrator. Experts in Low Voltage installations. SmartGrid project managers are multi-skilled professionals drawn from many design disciplines and as a result we understand all aspects of the design process. SmartGrid is a world class partner for innovative communications and collaborationfor analog, Digital, VoIP, and Unified Communications no matter the size of the client never too big never too small. Smart Grid staging staff has a proven track record of large-scale staging and deployment projects.For your rollout, we can pre-configure any of your IT solutions computer or WIFI / Camera, server. SmartGrid customizable managed security solutions meet or exceed industry best practices for logical and Network security. SmartGrid is Your Single Source Integrator that has global coverage with local focus. SmartGrid Integrations, Inc. is a true full single source solutions integrator for deploying next generation technology around the world. We understand your business and provide a single source to effectively integrate IT solutions across your enterprise while you remain focused on what is more important, running your business. SGI offers a comprehensive portfolio of LAN/WAN solutions. SGI we take the time to get to know your business – completely. Our comprehensive suite of managed cloud and hosting services. SmartGrid store or business in a box has a proven track record. SmartGrid is the Smart Choice for your Smart Hands team. Our global deployment workforce of over 5000 service professionals is here to help you with cutting edge IT solutions, implementation, all the while maintaining complete transparency through communications. 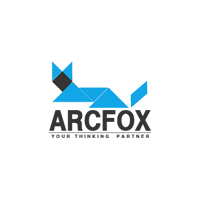 "It was a great experience of high learning value for our team at Arcfox. The project that we were working upon was quite challenging along with definitive timelines. Working with SGI has made huge contribution towards enhancing the efficiency of our team, exposure towards professional practices, effective time-based handling of projects. The continuous monitoring and feedback from your side enabled us to explore better technological avenues and solution within restricted timelines. Even with a very focussed aim and clear project requirements given by you, the fluidity and flexibility that you provided to our team were beneficial for us in two ways by providing a clear scope of project as well as having the room to handle it in a way most suitable for our team. We are more than keen and looking forward to continue working with you."